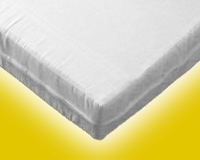 We offer ten densities of foam mattresses to choose from. Prices start dirt cheap, up to rigid, long lasting (20 years) foams. Our EconoFlex foam grade is used in the manufacturing of 90% of all sofas—we don't recommend this grade except for applications that don't get used a lot. Take time to read the descriptions of our foam, below. These descriptions are presented again at the bottom of the price quote page, for your convenience. Keep in mind that thinner foam is softer and thicker foam is firmer than the descriptions given. 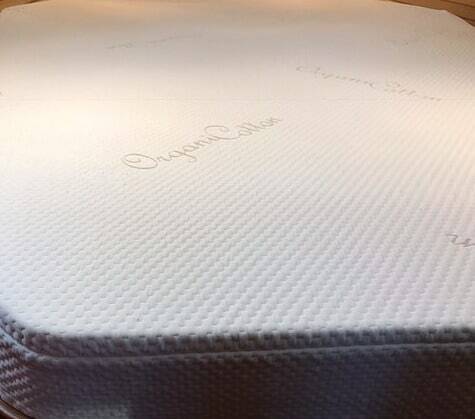 For custom mattresses in non-standard sizes or uses, visit our Custom Mattress page. These descriptions apply to foam used as a mattress for a person weighing about 175 pounds (≈80 kg). Your weight will affect the foam's firmness. We have many more foam qualities than listed here. Contact us for more information.